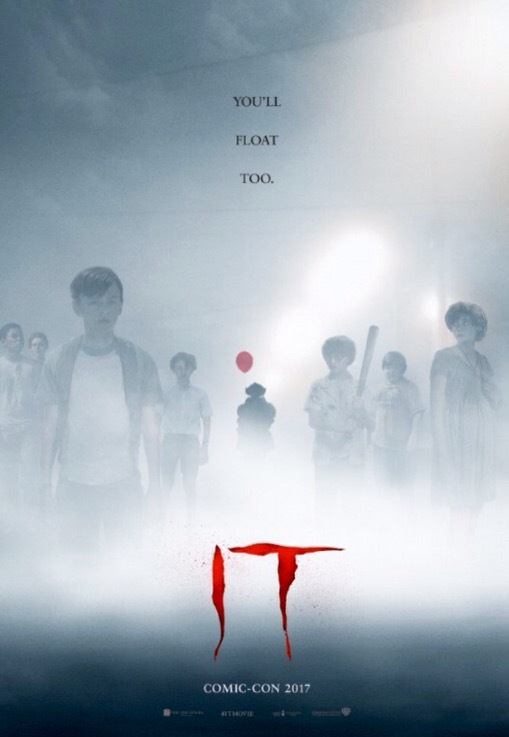 The latest trailer for Stephen King’s IT dropped a few hours ago, and the first thing I wondered when I saw if was if IT was also a part of the Stranger Things universe. Both feature Finn Wolfhard, both revolve around a group of young people on the cusp of the adult world–and the secrets that it holds–facing bullies and their demons (both real and imagined). And perhaps most importantly, both revolve around either the supernatural or things than can be easily interpreted as such (the Upsidedown from Stranger Things is approached in a more overtly scientific fashion than the terrors of IT but that’s less a question of the former not being supernatural than the approach to it being based in science). Though the more likely explanation for the similarities is that Stranger Things is very much based on the work of Stephen King and movies of Steven Spielberg and John Carpenter (particularly Carpenter, as far as the music and whole esthetic goes), so that it resembles a Stephen King movie is hardly a coincidence. Posted in actors, directors, genre, horror, Movies, Trailer Park, Warner Bros..Tagged Finn Wolfhard, John Carpenter, Stephen King, Steven Spielberg, Stranger Things, the UpsideDown.